Freight Cars–Friends of the Cumbres & Toltec for restoring 40 freight and maintenance of way cars over the last 10 years. Structures–Wiscasset Waterville & Farmington Railroad Museum for the former Boston & Maine Moose Brook bridge reuse. 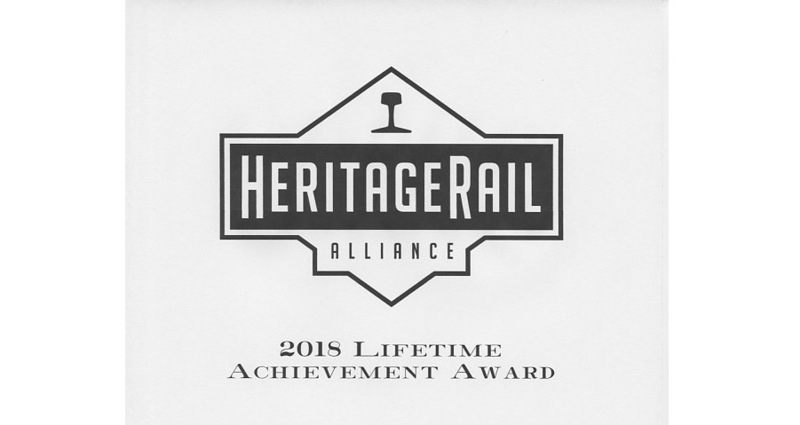 We also presented awards to individuals for distinguished service to railway preservation. This award goes to individuals who are not part of the museum or tourist railroad community, but have extended help when it was most needed. 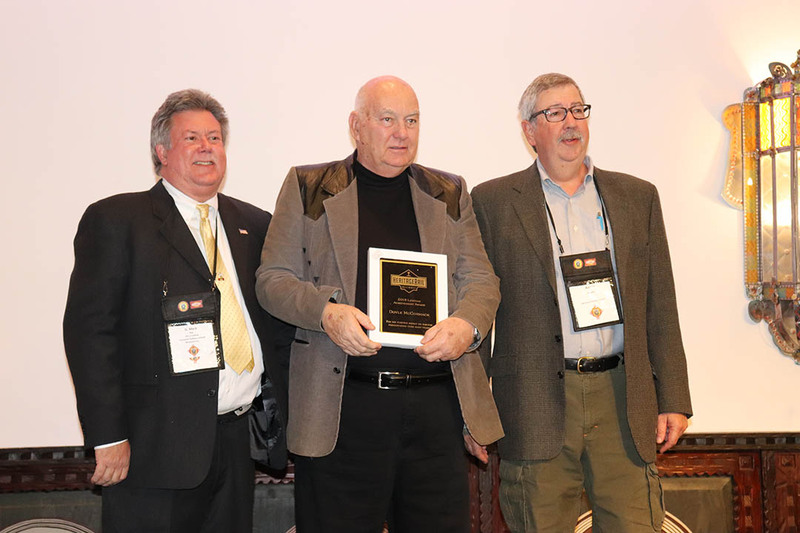 In 2017 Wick Moorman of Norfolk Southern was honored for all the help NS gave museums with equipment restorations and special train movements. 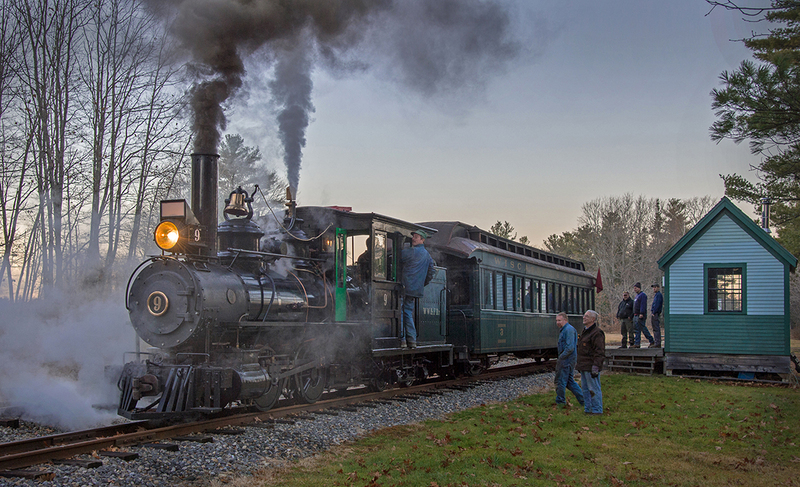 This year the award went to the Ramsdell Family for preserving what would become the core of the Wiscasset, Waterville & Farmington Railway Museum. After the WW&F was abandoned in 1933, they saved 0-4-4T #9 (Portland 1891) and flatcar #18 and stored them in a barn at their farm in West Thompson, Connecticut. Wiscasset, Waterville & Farmington 0-4-4T at the WW&F Railway Museum. They kept them a secret during the World War II scrap drives. 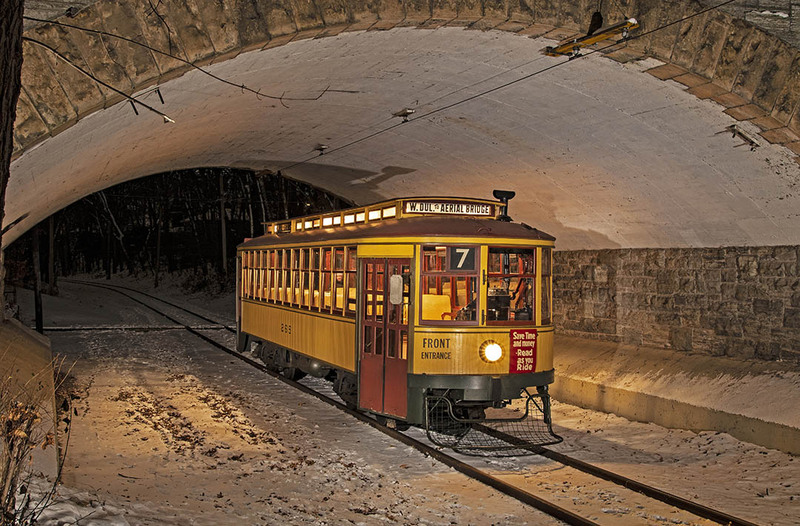 They eventually donated them to the new museum, where they have been restored to operation and provided the spark that has led to the rebuilding of a significant portion of the WW&F on the original right of way. Bill Purdie was the head of the Southern Railway steam program and he mentored an entire generation of young steam mechanics. HRA President G. Mark Ray proposed the award for encouraging youth involvement in Purdie’s name, but for two years we failed to identify candidates to receive it. That changed this year when we put a call for nominations on RyPN.org. Tom Schneider and Jason Maxwell, Illinois Railway Museum. This is an industry where volunteers often devote their entire adult lives and every museum usually has one or more patriarchs or matriarchs. Having so many deserving candidates makes each year’s selection difficult. We tried to select people who have had a national impact that reached beyond their local institutions. 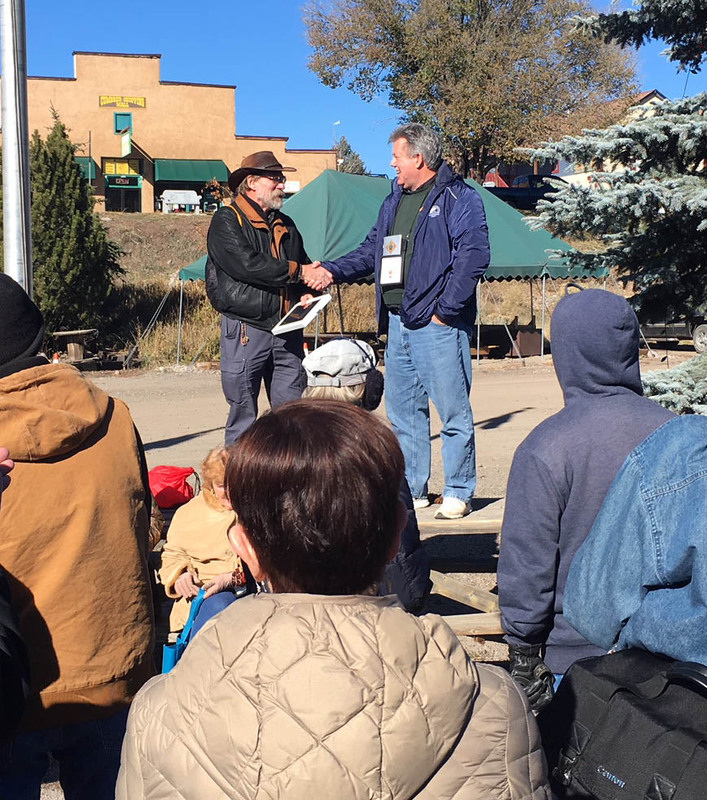 Linn Moedinger (left) had to leave the conference early, so he received his award from HRA President G. Mark Ray at the Chama depot. The timing couldn’t be better for this award. Linn Moedinger had just announced his retirement after 50 years with the Strasburg, rising to the positions of Chief Mechanical Officer and President. During his tenure he established the Strasburg as a paragon of historically accurate tourist railroading, featuring a stable of steam locomotives and a spotless fleet of mostly wood passenger cars. Beyond that, he built the Strasburg shop into an important restoration contractor, working on projects from across North America. His impact went beyond Pennsylvania. As stated in the nomination, “He is a charter member of the Engineering Standards Committee, which may well have saved steam railroading in the United States after the 1995 Gettysburg disaster. Since then he has been active on committees belonging to ASME, ASTM, and NBIC among others, updating and in some cases reintroducing locomotive boiler codes to make our jurisdictions into partners instead of adversaries.” Finally, he was one of the midwives of the ARM/TRAIN merger that created the HeritageRail Alliance, hosting the first planning meeting and serving on the HRA Board through this year. 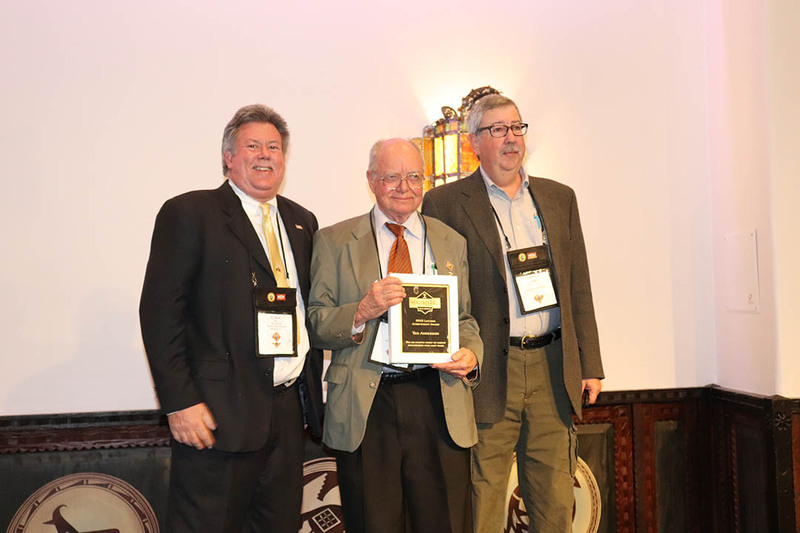 Doyle McCormack with HRA President G. Mark Ray (left) and HRA editor and Awards Committee chair Aaron Isaacs (right). Tim Crain photo. There would have been no Southern Pacific 4449 pulling the American Freedom Train or its other triumphant appearances without Doyle McCormack. His stewardship of that iconic locomotive put railway preservation on the map in an unprecedented way. The public liked what it saw and that reservoir of good will has helped the industry and encouraged others to enter the field. When the SP finally demolished its old roundhouse in Portland, McCormack led the Oregon Rail Heritage Foundation’s successful move to a new building where the public can view 4449, her two steam sisters and McCormack’s other icon, the only restored Alco PA anywhere. Ted Anderson receives his Lifetime Achievement Award at the HRA banquet. Tim Crain photo.